This makeup application takes 5 minutes to do on myself. This is because I do this daily. Below I am going to list out what I used and in what order I do them. You will find what works best for you. Then you can master it within your own 5 minutes! 1- Prime and Foundation. I only start with foundation if I am not doing eye shadow that day. Pictured is Mac Primer and Mac Pro Longwear Nourishing Waterproof foundation. 3- Set concealer. This isn't for everybody. I set with a translucent powder by Laura Mercier (not featured in the above picture). 4- Bronze. Above I used Mac Dark Deep Next to Nothing Powder as my bronzer. 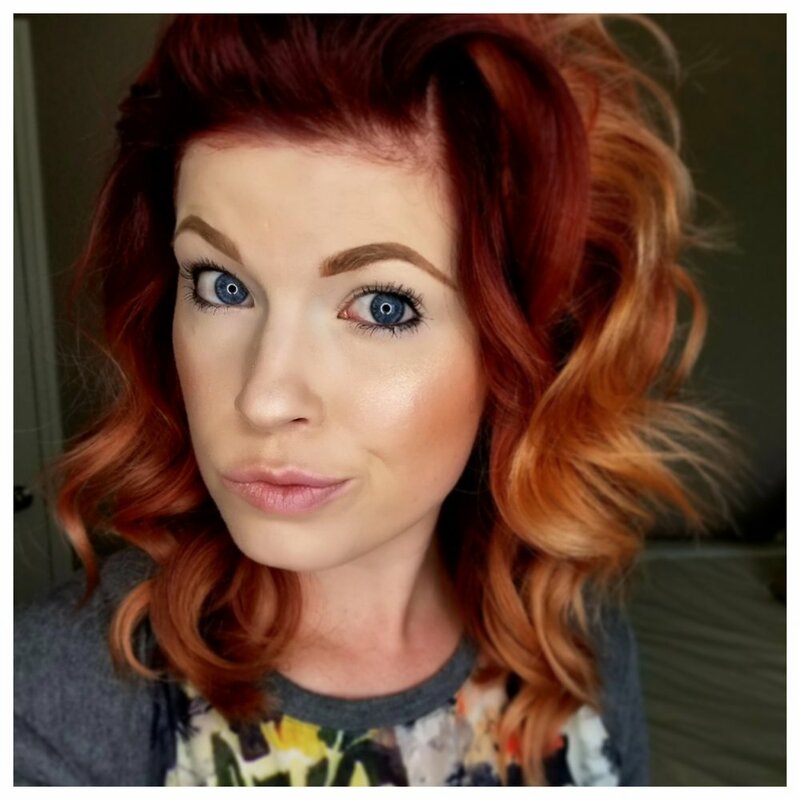 7- Fill in brows. This is an absolute must before I leave the house. It's just plain scary if not! I currently use Mac Dirty Blonde Brow Gelcreme. I choose this for me because my Anastasia Beverly Hills gel pot liners and pencils don't go as well with my hair. This Mac one has a red underlining pigment that blends well with my skin tone and hair color. 8- Eyeliner. I tight-line my inner eye with Mac Smolder Eye Kohl pencil. I do not recommend this when in a hurry; I've accidentally poked my eye before! Yes, Pro's make mistakes too when in a hurry! 10- Mascara. Above is my current favorite Mac Instacurl Lash. The wand twists into a curled shape to help give volume. 11- Lips. Use your favorite lip balm, gloss or stain. Boom! That is my quick everyday makeup look I do on myself. Now if you have an absolute perfect complexion and can rock only mascara. Then you, "GO GIRL!" I'm envious of your perfection! Next I will feature what tool I use to create my curls! NO, I do not only use all MAC. I do like other products; however, all of these just tend to be my go to's right now.